RARE FREE STANDING Cottage with three bedrooms plus a sun room! Part of the New Seabury Resort,Maushop Village is a beautiful waterfront condominimum complex with a private sandy beach. Built as a single cottage this 3br Nantucket style year round home offers cathedral ceilings,an open floor plan large dining/living room,w/skylights,cieling fans,cd player,and fully equipped kitchen,along with a quiet sunroom,and a large brick patio,dead end street. NEW SEALY PROSTUREPEDIC mattresses on all beds. 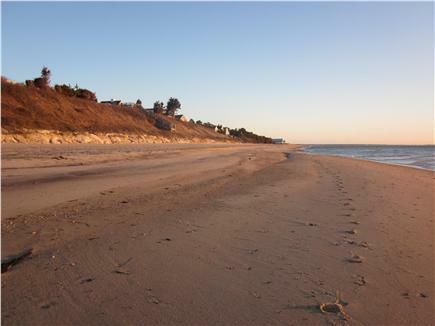 Seconds to Maushop’s beautiful private beach,it is also a short walk to Popponesset Marketplace and Popponesset Inn. Golf course,biking,and jogging trails are all within the New Seabury resort. You can dine at New Seabury’s new clubhouse or take a short walk to the Popponesset Marketplace for shopping,a quick snack,mimi golf or entertainment. A short drive leads to one of the many nearby restaurants. Mashpee Commons features 80+ shops,dining,a movie theater,concerts and family entertainment just 3 miles down the road. This vacation property has it all relaxed,quiet fun. Additional availability info: beach chairs provided. This is a Saturday to Saturday vacation rental. Additional pricing info: new MA lodging tax of 12.45% as of Jan. 1st, 2019, State and local taxes of 12.45% will apply. We have been staying in this house for almost 9 years. It is clean and spacious with the most ideal location to the beach and the market place. Our children look forward to coming to Maushop every year. Thanks for taking the time to share your feelings about our Maushop cottage. It has been a pleasure to have your family share summer time with us. One of life's joys is watching children grow up and enjoy family time. What a lovely home. We were very comfortable. There were 5 adults one child. Very nice yard and dining area to lounge in. A quick walk to the beach or a walk down the path to the quaint village. Would recommend this rental to all my friends and family. Hope to get back there sometime soon. Glad we could help make the wedding weekend more enjoyable and we look forward to a return trip from your family and friends. Thanks!!! 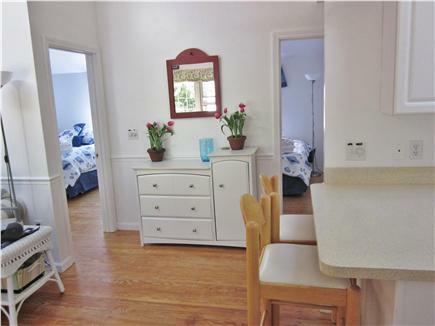 A small but cozy cottage with an ideal location for the beach, Mashop Village, as well as the rest of Cape Cod. Plenty of parking which is a premium is Mashop Village. Enjoyed our stay, and the owner was friendly and very responsive. Thank you, Richard, for your kind words. We are so pleased that you and your family enjoyed your stay at our Maushop Village cottage. Having families like yours visit is what summer on Cape Cod is all about. We had never been to the Cape and found this home to be perfect for our needs. We were a party of four adults and two kids. The distance to the beach and the little market area was fabulous. I highly recommend this home to anyone looking for a get away. The outside shower was everyone's favorite! We are glad you and your family had a wonderful time here in Maushop Village this summer!! Great walk to the beach! We really enjoyed our week at your cottage. The space was perfect for 3 adults and 2 children. We loved the ease of walking to the beach as well as the market place. The outdoor shower was great. The house was stocked well with kitchen supplies and towels. Thank you for the kind words about our cottage. Our goal is to offer a pleasant place for families to have some fun at the beach as well as well needed down time from their busy life. We look forward to seeing you back again next summer.